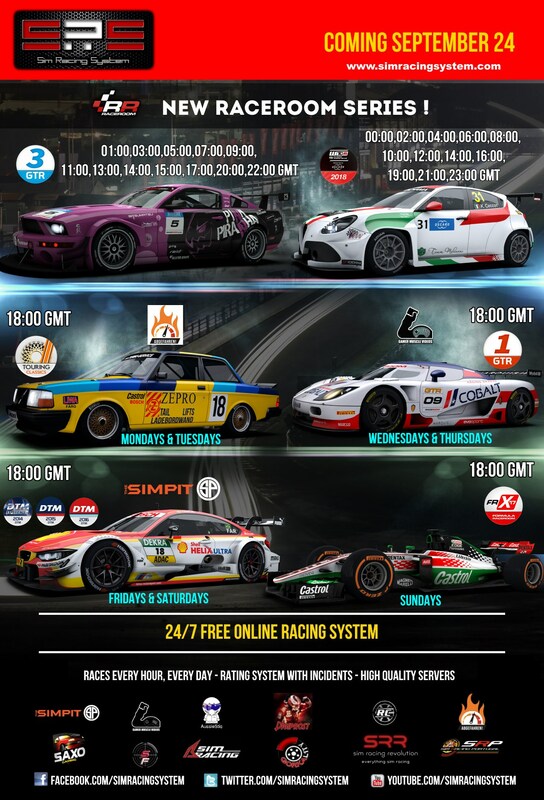 New raceroom Series starting September 24! Sim Racing System Sim Racing System News New raceroom Series starting September 24! Great combo. Well thought out. Very good picks this season, all the popular stuff is there. Hopefully, numbers are larger this time around. Hi, today and tomorrow Touring Classics race appears to be at Nordschleife with a 10 min qualification. Does this work in RaceRoom? Do we have enough time to complete out lap and one qualification lap? you have 1 chance as qualy is set to private this season. This means that instead of leaving from the pits you start from the last corner and the lap will count. (09-24-2018, 02:39 PM)simracingsystem Wrote: you have 1 chance as qualy is set to private this season. Ok great, thank you for the quick answer! The WTCR 2018 pack is $17.40 for those interested. I purchased all of the content for Raceroom, but that was in March 2018 and this has come out since then. So this latest pack is unfortunately not in my library. I have never tried the FRX, it will be challenging to race in monza, spa or imola. As Andalò said, I only wish these were 1 hour long. Or maybe the DTM too... I started racing in SRS 2 or 3 seasons ago with 1 hour DTM races and those were great, with different pit stop strategies, varying paces or overlapped cars. And with that "endurance" attitude, I have the impression everybody was more cautious. Classic touring in Macau will be madness (not saying I don't like it).